Last week Namco Bandai revealed Project X Zone would be coming to North America on 25th June, but Europe was left with its original vague release date of Summer 2013. This lead people to believe European 3DS owners would be getting the game much later than their American counterparts, however, this is not the case at all as it has been confirmed Europe is getting it just ten days later. Namco Bandai has confirmed Project X Zone will be available in Europe on 5th July 2013. The game is a tactical-RPG and features characters from the SEGA, Capcom and Namco Bandai universes. For those unaware, it's been developed by Monolith Soft of Xenoblade Chronicles fame. 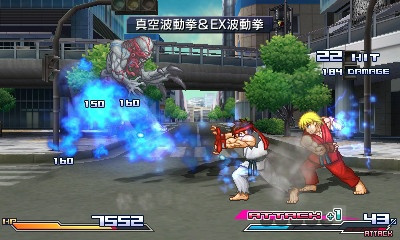 Project X Zone didn't sell so well at first in Japan and Namco Bandai is hoping it will fly off the shelves a little quicker in the West. The publisher has also confirmed the North American version of Project X Zone will be sold as a limited edition, with a mini-art book, poster and music CD packaged with the retail game. Are you looking forward to this one? Let us know in the comments section below. Is voice audio available in our version? I'll keep an eye out, need some more info, a demo would be even better. looks really cool! I wonder why this did not go over well in japan? Great to hear we have a date. Been following this game since its 1st trailer, definite day one purchase for me. That's what i really said, only in italian, when i devoured this news. The game looks awesome. I love the cross over finishes and things. I'm not an RPG player at all, but this is definitely on my radar.